Cryolipolysis is a medical treatment used to destroy fat cells. Its principle relies on the controlled cooling temperature of +5 to −5°C for the non-invasive localized reduction of fat deposits in order to reshape body contours. The exposure to cooling is set so that it causes subcutaneous fat tissue without apparent damage to the overlying skin. The procedure is billed as a nonsurgical alternative to liposuction. “Cryolipolysis” is a portmanteau of “cryogenic” and “lipolysis The process is also known as “fat freezing”. 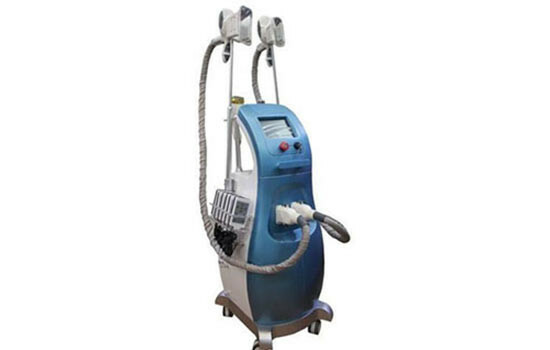 In Europe, Cryolipolysis machines have been developed for suitability in aesthetic clinics and spas. Brands of devices include CoolSculpting, among others. Cryolipolysis is used for removing certain areas of body fat that are just under the skin to contour a person. Evidence supports its effectiveness at three to four months. It appears primarily applicable to limited discrete fat bulges. According to a 2015 review, it shows promise with the average fat reduction, measured by calipers of about 20 percent. With the small number of people treated, clinical data remain scarce, thus it is not known how long the treatment effect will last, or when and if later treatments would be necessary to maintain the result.